VALERIE Judith (Judy) Atkinson had to give her decision to accept her nomination for an Order of Australia "careful reflection''. She already has an AM but due to her Aboriginal heritage, on this occasion she almost declined. While Emeritus Professor Atkinson said there was a sense of pride in the honour, she did not carry out her work for the accolades. 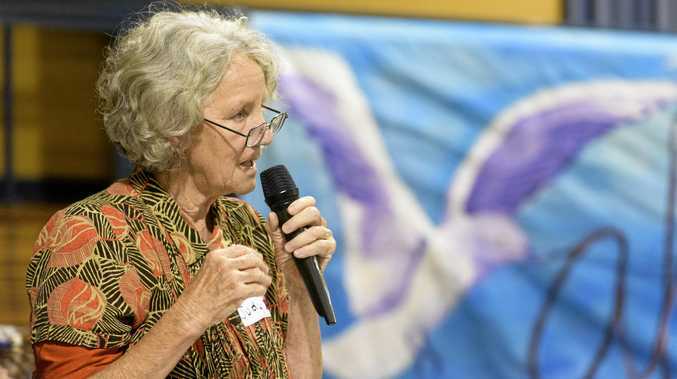 She decided the OAM provided a platform to "say some things so that people can hear them”. She was nominated for significant service to the indigenous community, to education, and to mental health. Prof Atkinson is the author of Trauma Trails - Recreating Songlines: The transgenerational effects of trauma in Indigenous Australia, 2002, and is involved with the Indigenous Studies faculty at SCU. She has been a professor since 2001. In 2006, she was awarded the Carrick Neville Bonner Award for curriculum development and innovative teaching practice and the Inaugural Fritz Redlick Memorial Award for Human Rights and Mental Health, Harvard University Program for Refugee Trauma in 2011. As the current patron of Independent Academic Research Studies on Restorative Justice, she says it is time for "a hard conversation on how we treat our indigenous people and focus on the children for the future of all Australians that are in this country”. "The behaviour of our indigenous children is telling us something about their lives and we need to listen to them and engage with them,'' she said. "Australia began as a penal colony and our people still live in prison. Prof Atkinson applauded SCU as a positive place to work and said she would never leave the region as it was a place interested in the wellbeing of the country and its people.